A good and well-presented story is successful in reaching its objective. Reaching its listeners, holding the interest and crossing all age barriers is the impact of an effective storytelling. Knowing and applying the art of storytelling will not only strengthen your stories, but also develop the desired interest in the audience. The first step to develop the art of Storytelling is finding good stories. You will come across many kinds of stories, but start with simple tales with simple elements. The best source to find stories is the libraries, where you can browse for all kind of stories whether fairy tales, trickster stories, folk tales, myths, legends, scary stories and hero tales etc. from many countries and cultures. But How To Know If The Story You Have Chosen Is A Good One? Here are few pointers for the right storytelling art. A good story has single theme which is well defined with a good plot. With a dramatic appeal, it is faithful to source. It should bear good characterization and be appropriate for the listeners. Adapting to the audiences is very important for effective storytelling Jordon Bower The audience has a very important role to play. A good storytelling involves deep interaction between teller and hearer. People are not good at visualizing things and imagine independently. Your storytelling skills should be strong and immaculate to lock the attention of the audience completely. The true Storytelling art aims at keeping the storyline brief and simple. Take the story as close as you can to your audience. Stimulate their senses so that they are able to use their imagination to feel, smell, touch and listen, visualizing vivid pictures. When telling story to an audience of mixed ages, aim the story at the younger ones. 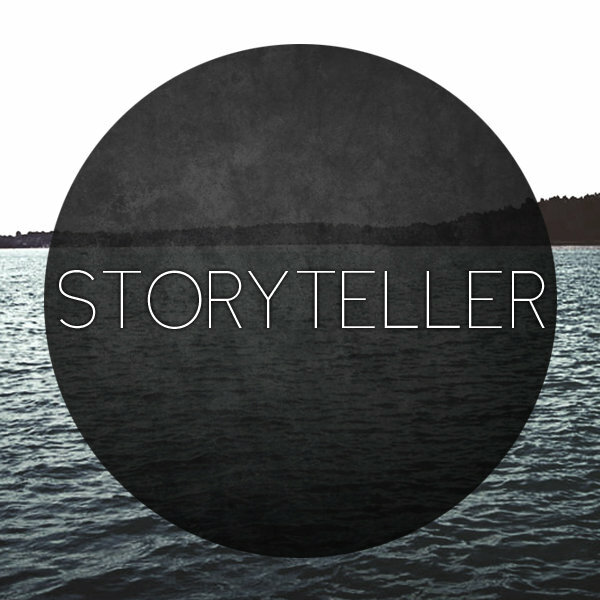 The contact between the storyteller and story listeners makes a story come to life. To improve on your corporate training story telling skills, prepare beforehand. Read the story several times, with concentration. Pay attention on its background and cultural meanings. Explore its appeal, the mood you want to create and the word pictures you would want your listeners to see, and the mood you wish to create. The characters and setting should become as real to you as people and places you know. Visualize it completely with sounds, tastes, scents, and colours. The art of Storytelling reflects use of story to paint word pictures, using the sound, rhythm and repetition of words. Learn the story as a whole, always knowing the first and last lines by heart! The beginning of the story should set the stage. It should be kept in mind not to alter the essential story line while simplifying or adapting a story. Don’t lose the original flavour and essence of the story. When narrating an old and well known story use your imagination to make the story come across as fresh and alive. The term productivity software is applied when describing some software tools that are meant to make the business achieve its objectives fast. There are many categories of productivity software used by various businesses. Examples of productivity software include programmes like excel and word. The usage of these programmes depends on the factors, for example, the nature of a business and their affordability. In this artic, le, we discuss the place of productivity software in helping the company achieve its objectives. The productivity software programmes are meant to enhance good communication within the business which in turn accelerates attainment of business goals. Programmes like word and excel worksheets are meant to clearly articulate the business goals and come up with a strategy of attaining them. Businesses that use these programmes are likely to enhance their communication among the staff leading to faster achievement of business goals. Productivity software is used to clearly define the business goals and the place and role of each individual staff towards attaining the goals. The programmes are used to highlight and explain the roles of various departments and individuals in helping to attain the goals. This clear articulation of roles helps the business to achieve its objectives fast. Productivity software is meant to measure the contribution of each individual in attaining business goals according to website experts Sun Bowl Systems. The individuals who are underperforming are retrained so that their contribution is enhanced. The individuals who perform excellently are rewarded accordingly. It would be very difficult to measure individual performance without this software. Besides, manual measurements may not be so objective as human beings are influenced by various factors before giving a mark. In this case, productivity software is meant to objectively measure individual performance and suggest ways of improving their performance if it’s below expectations. The productivity software by Function Point is used to monitor and evaluate the progress of the business. Monitoring assists the management to assess whether the business is on track towards attaining goals. If there is any deviation, proper remedies are put in place to put the business on track. The managers are able to evaluate the speed at which goals are attained against what was set. If there is slowness in attaining specific objectives proper intervention is put in place for example by employing more workers. Monitoring and evaluation is important for business because it assists in the decision-making process. Productivity software assists in the provision of information about individual skills, knowledge and experience. This, in turn, helps the company or business to place each person in departments where they are fitted so that they achieve business goals fast. Without this software, it would be difficult to get individual information.